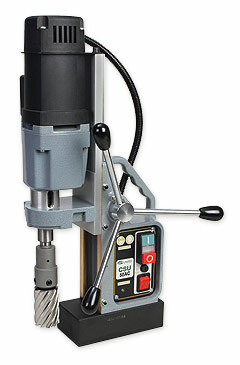 Portable Magnetic Drills – CSU 50AC | Advance Drills Inc.
Lightweight, two-speed high-performance drill – holes up to 2 ” dia. 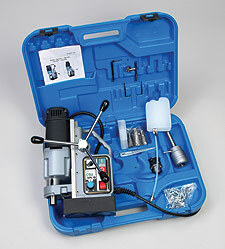 Model CSU 50AC is a lightweight, two-speed, high-performance drill. Includes an automatic cooling/lubrication system built into the arbor. Model CSU 50RL has a variable-speed (100-450 RPM), reversible motor for tapping up to 3/4″.